We already know it’s considered an aphrodisiac and can increase levels of serotonin in the body. And at Care2, we touted the scientific evidence that declared it a stress-reliever. We’ve found it’s an excellent masquerade of the healthy vegetable in this delicious zucchini cake, and we made sure to celebrate it during its honorary month, February. As you might have guessed, Care2 editors love chocolate and love to offer reasons to eat the stuff. Thanks to a recent study by German researchers, here’s one more reason: small amounts of the magical substance can help lower blood pressure and reduce the risk of heart disease. In the study, which analyzed the health and diet habits of 19,357 people aged 35 to 65 over ten years, participants who ate the most chocolate had lower blood pressure and were 39 percent less likely to suffer a heart attack than those who ate the least amount of chocolate. As with everything though, moderation is key. According to the researchers, six grams of chocolate is equivalent to about one small square of a 3.5 ounce chocolate bar. Buijsse says that an increase of chocolate in a diet shouldn’t increase the total number of calories consumed. 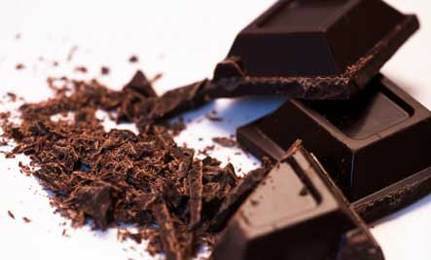 “Small amounts of chocolate may help to prevent heart disease, but only if it replaces other energy-dense foods, such as snacks, in order to keep body weight stable,” he said. Chocolate in its essence and not having fatty cream added to it is a substance that can be good for you. Just make sure it is from people who are paid a decent wage and don't use tiny children to make their already rich pockets richer. For example, if somebody has to pick all day and they cannot pay their rent...WTF? Fortunately I don't believe in everything i read.